All warm and cozy inside and cool outside, this warming photo shows a serene Christmas scene before the frenzy of gift opening on Christmas day. 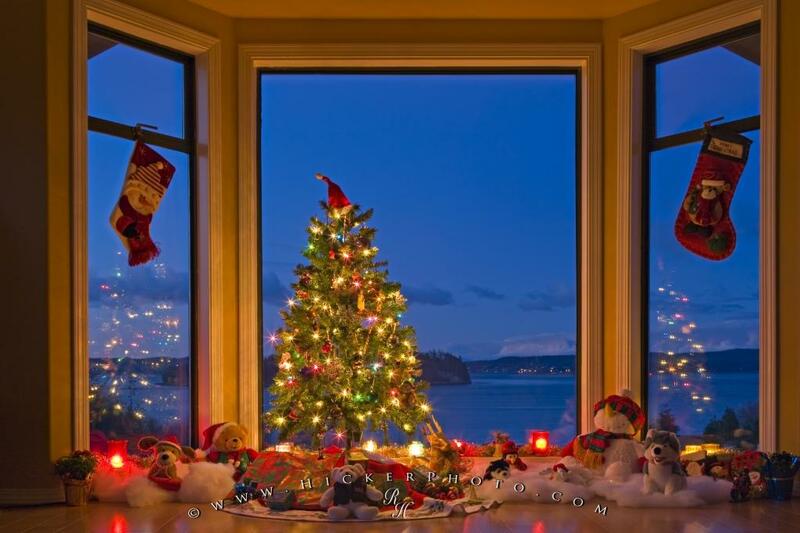 An ideal photo for a christmas card, a beautiful bay window decorated with stockings, a Christmas Tree and gifts. Christmas Tree with lights, decorations, and gifts in a window at dusk. Photo of typical home decoration showing a tree and gifts during the weeks leading up to Christmas day.